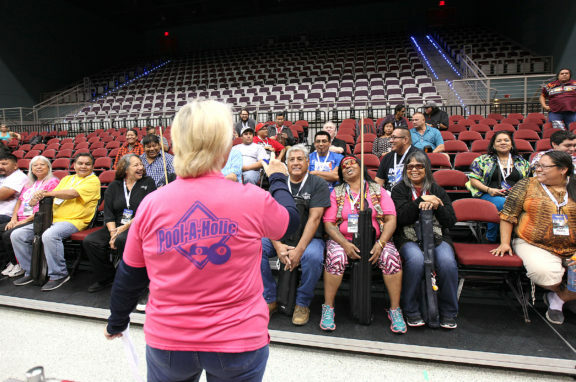 HOLLYWOOD — The sea of light blue billiards tables that filled the floor of the Hard Rock Live arena was a welcomed sight for Native American players. As part of the Tornado Open tournament, which featured pros and amateurs, a division for Natives proved to be popular. The division drew about 40 participants. 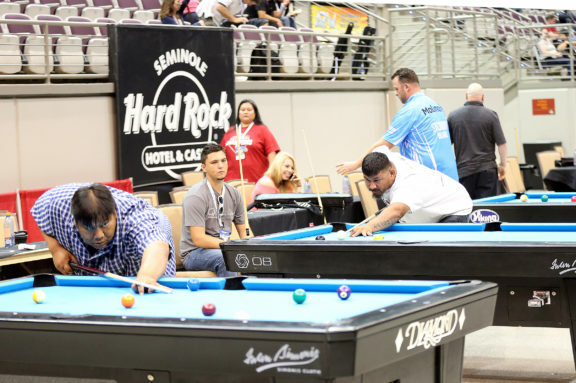 The camaraderie extended from table to table as soft rock-n-roll music played throughout the event Sept. 28-Oct. 2 that was organized by professional player Vivian Villarreal. 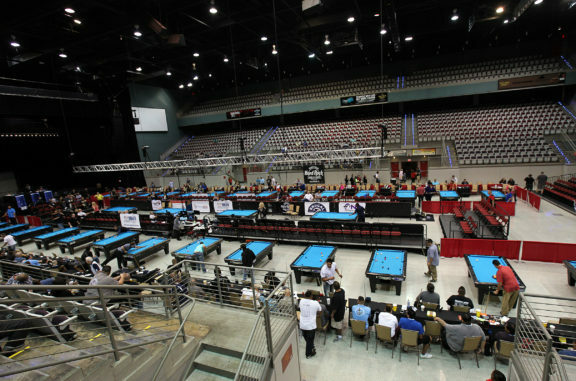 Some of the top names in the sport from throughout the world competed for thousands in prize money. 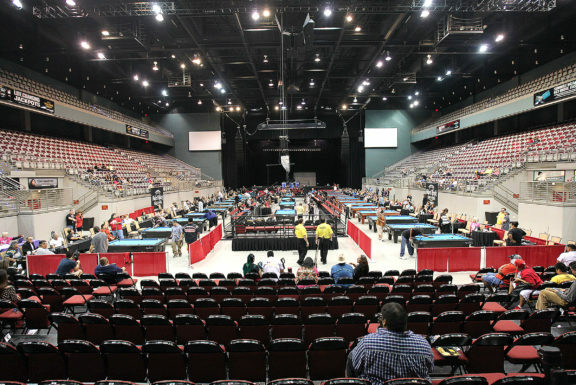 “You have pool players that are professionals that you see on TV all the time. It’s nice talking to them and reminiscing about old times and all that stuff,” Cypress said. 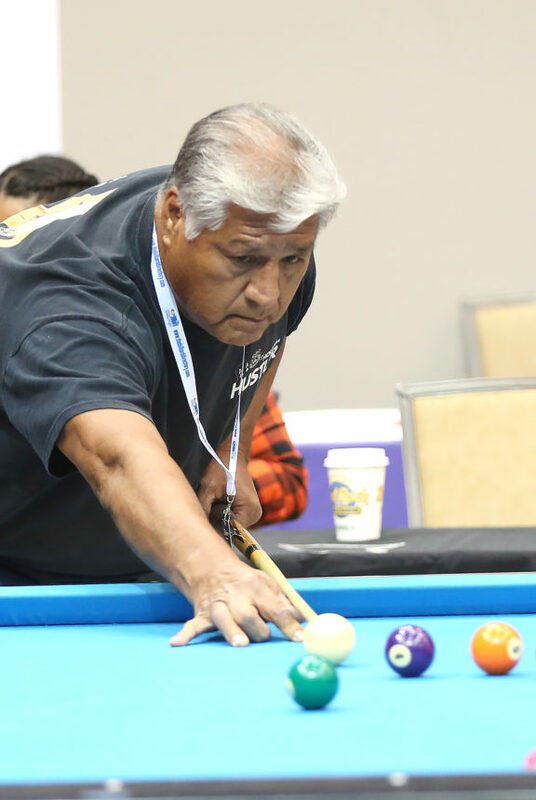 “I knew it would be a big tournament and there would be a lot of pros and I’d be able to catch up with guys I haven’t seen for a few years,” said Mario Posada, who lives on the Immokalee Reservation. Posada, who is married to a Seminole, said there’s a vast difference between an amateur like himself and the pros. 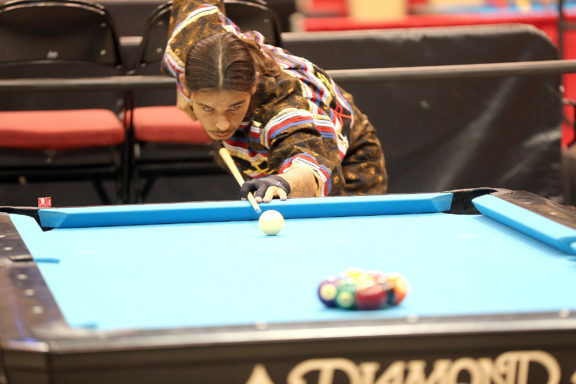 Lance Blackdeer, a billiards enthusiast from the Ho-Chunk Nation, arrived at the tournament with a couple friends. They drove from Wisconsin just so they could stop and play at pool halls from the Midwest to South Florida. 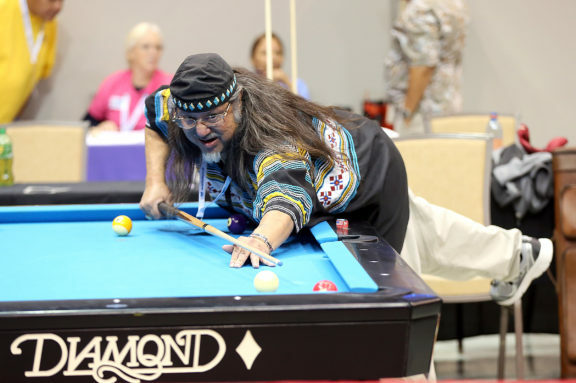 Blackdeer, who runs a Native billiards website, has a desire to organize a Native world championship. 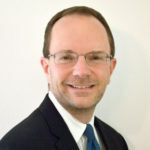 “My goal is to promote Native pool,” he said. 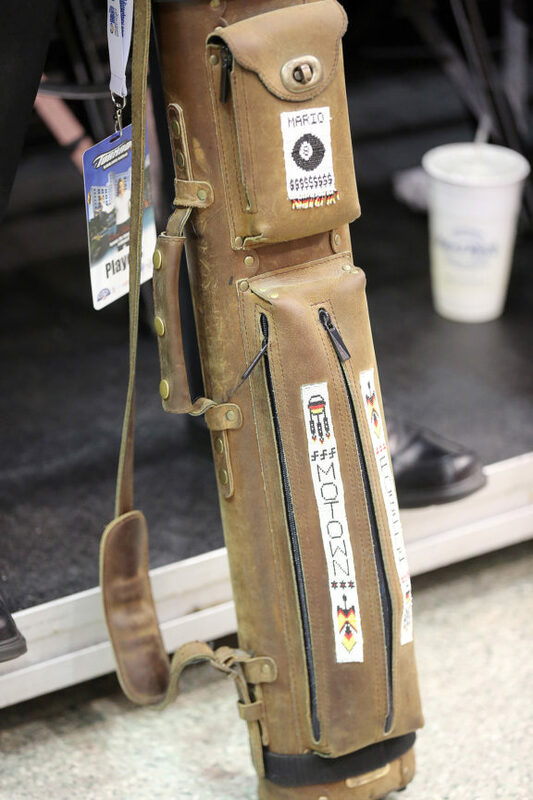 That’s why Blackdeer was especially impressed with the Seminole Tribe’s involvement in the Tornado Open. “I’m really glad this tribe is showing other tribes that it’s not about how much money you make; it’s what you’re promoting and stuff like that,” he said. Even though he said there is interest from Natives for such a tournament, he admitted there’s just not enough interest right now. 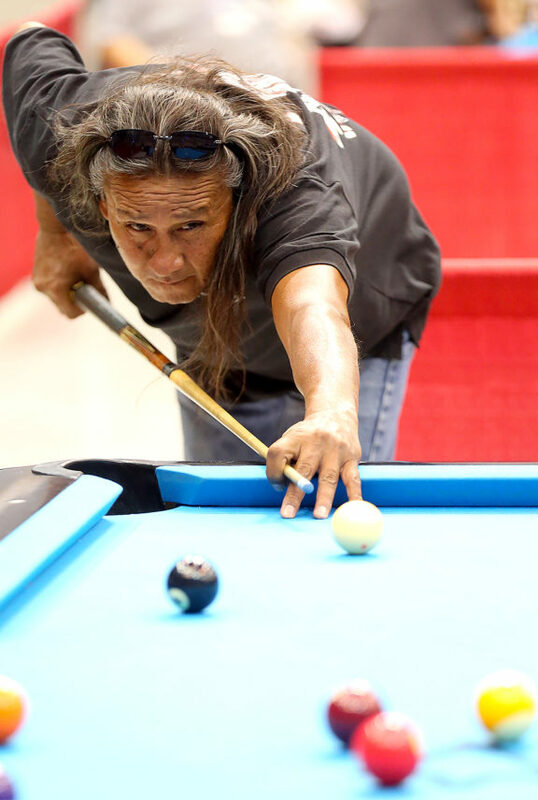 The Native division winners were Charles Osceola (men’s 9-ball), Jason Onespot (men’s 8-ball), Phalyn Osceola (women’s 9-ball) and Trudy Bigplum (women’s 8-ball). 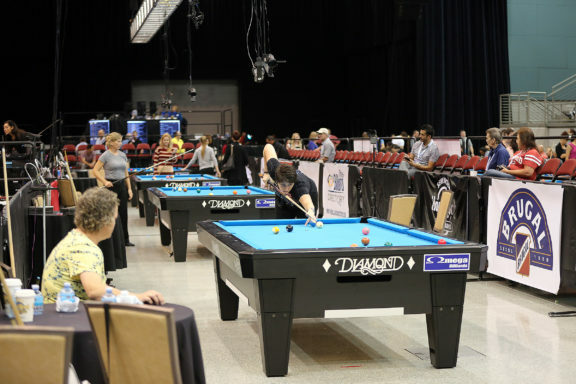 Some of the big first-place winners in the pro ranks included Kelly Fisher, who won $13,000 on the women’s side, and Shane Van Boening, who took home $15,000 in the men’s division.